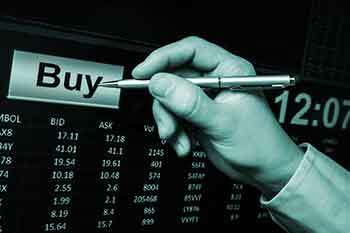 Is buying more shares in a falling market a good way to cover losses? The term averaging comes into picture when people start buying more and more shares in order to cover losses during a falling market. This involves the investment of the surplus funds in the assets whose prices have fallen significantly with respect to the original cost of purchase. It is often heard among the people that buying shares in a falling market is a good way to cover losses. Let us see to what extent does it stand true and help in covering the losses in a bearish market. Although it is very significant in bringing down the average cost of the stocks. But the question is does this cost averaging rally works and helps in covering losses? There are two contradictory scenarios which come out as the possible consequences of the cost averaging of the stocks. This is the case which is likely to happen if the market continues to be bearish for a longer time. Here you keep on buying more and more shares with every low at the price further accumulating more stocks. Company has strong fundamentals: If the company has strong fundamentals, it has a fair chance to recover and the price of the stock have a higher probability to increase. In this case, you have the chance to recover losses, but this will take a really long time due to falling market trends. And thus, if you are ready to wait for a longer time with this investment, then it could help you cover the losses. Company does not have strong fundamentals: But in a case where the company is not strong enough to pull through the bearish market to recover and the prices fail to rise. Then instead of recovering, you will be further neck down in losses. This instead of recovering losses will further worsen the situation. And in this situation buying more shares in a falling market is not a good way to cover losses. This is the case which is likely to happen if the market does not continue to be bearish for a longer time, and start rising up instead. Company has strong fundamentals: If the company has strong fundamentals, then you could easily recover the losses, and there are chances where you could even book profits. In such a case buying more shares could be beneficial in covering losses. Company does not have strong fundamentals: Even if the fundamentals of the company are not strong enough, still if the market has begun to rise up the prices of the stock would eventually rise. This might not be quick high, as it might take time due to the not so strong fundamentals of the company. But yes, in the end, you will be able to recover your losses, though you have to wait for a longer term. Whether you will be able to recover losses by buying more shares in a falling market largely depends on the company whose stocks you are planning to buy. Because the process of recovering losses in a falling market largely depends upon the resilience of the company. Thus, if you are planning to buy more shares during a falling market to recover losses by cost averaging, it is very important that you research about the company. You need to make sure that the company has a strong revenue system, an effective administration with a good team of high-rank executives in order to recover losses and in some cases to book profits.